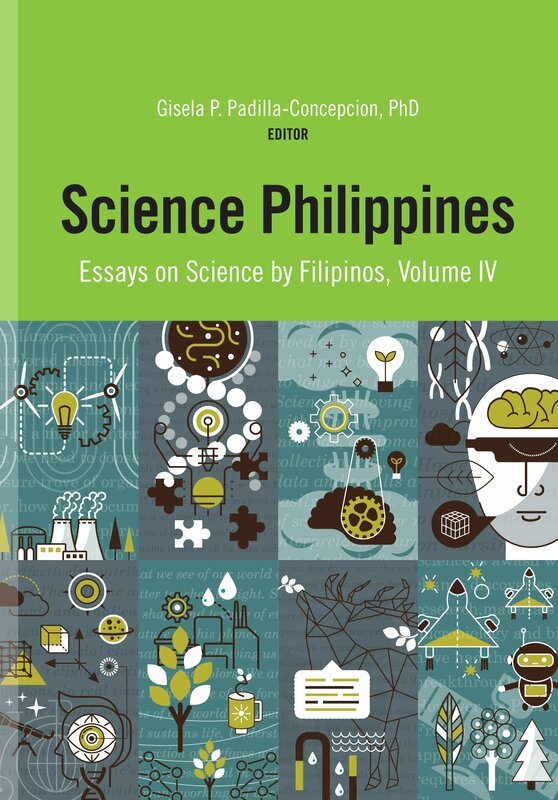 Science Philippines Volume IV is the fifth and last in a series of books on popular science articles written by Filipino scientists, science educators, and administrators about their work and related studies done by others in the Philippines and the rest of the world. The first four books are titled Selected Essays on Science and Technology for Securing a Better Philippines and Science Philippines Volumes I, II, and III. They contain articles that were published in the newspaper column called “Star Science” which appeared every Thursday in the business section of The Philippine Star starting in 2003. Each volume covers a “Star Science” publication period of several years, and the articles are organized by themes or topics and not by the chronology of publication. Gisela P. Padilla-Concepcion is a professor at the Marine Science Institute in the University of the Philippines (UP) Diliman where she teaches graduate courses and leads research on marine natural products, drug discovery and development, and related biomedical topics. She also serves as the coordinator of the UP Diliman Biophysicochemical Technology Incubation Core Facility. She recently ended her term as the vice president for academic affairs of the UP System (from February 2011 to February 2017) where she conceptualized and implemented many new programs and initiatives to improve bachelor and postgraduate education and research and creative work in the university. She obtained her PhD in Chemistry in UP Diliman and was awarded as the Most Outstanding PhD Graduate. Gisela has isolated and reported the greatest number of bioactive marine natural products in the Philippines. Her projects have resulted in a prolific number of publications in international journals and trained researchers who are now faculty members and research project leaders, and received various prestigious awards—including the National Research Council of the Philippines Achievement Award in Chemistry, Philippine Federation of Chemical Societies Awards for Chemical Research, NAST-LELEDFI Award for Outstanding Research in Tropical Medicine, and the DOST and National Academy of Science and Technology (NAST) Dioscoro L. Umali Medal for Outstanding Science Administrator Award, among others. She is an academician of NAST, Scientist III under the UP Scientific Productivity System, fellow of TWAS (The World Academy of Sciences), and member of PAASE (Philippine-American Academy of Science and Engineering), where she has received the PAASE Koh Award for Science.